On October 11, several Cassville Career and Technology Education classes had the opportunity to tour The Stitt Group headquarters in Rogers, Ark. The Stitt Group is a custom home building company that has been constructing energy efficient homes since 1978. The students were welcomed at the central office and given an overview of the company’s mission before dividing into groups to attend tours for the day. The first stop was to the personal home of the founder of the Stitt Group, Orlo Stitt. While there, students learned about the efficiency of specific housing designs and the financial return of clean energy investments, all while exploring the beautiful property. Back at the offices, the Stitt Group crew each displayed their specialty from blueprint design and layout to on-site application and construction. However, after a full day of demonstration and learning, what impacted the students the most was a piece of advice by Orlo Stitt himself, “The reason we give these tours to young people like you is because you are our future. 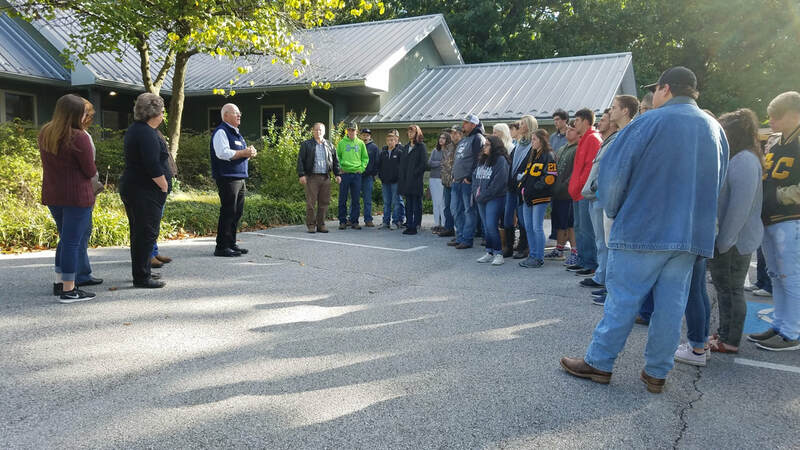 You will be the ones left when we’re gone, and you need to know what your options are.” This field trip is a component of a sustainability and green living project currently going on at Cassville High School funded by a Cassville Community Foundation Grant.